Teatime at the Old Caledonian's very own Tea Room! One of our favorite amenities that we offer our guests at the Old Caledonian B&B is afternoon tea in our very own Tea Room! It’s included in a night’s stay at the Old Caledonian Bed & Breakfast, and served between 4-6 pm, which is also our check-in time. Owner and Innkeeper Penny has enjoyed teatime and tea rooms her whole life. As a lover of all things Scottish and English, Penny wanted to integrate teatime into the Old Caledonian’s repertoire ever since the Old Caledonian’s opening over two years ago. Not only are the afternoon teas an homage to the Scottish tradition of the Village of Caledonia’s founding, it’s also a perfect refresher for an afternoon pick-me-up! And we’ve recently converted our former parlor into a Tea Room accommodating up to 28 people! 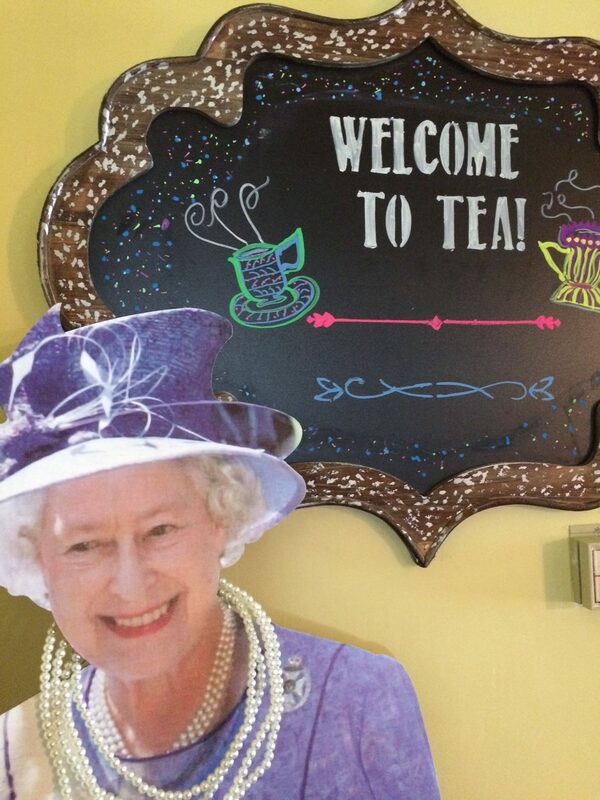 Old Caledonian regular, Lillibeth, loves Teatime at the Old Caledonian. Helloooooo! Penny sets the teatime table with vintage china handed down from her and Jon’s families over generations; and selects teas for our tea-list which include familiar flavors as well as more adventurous varieties from around the world! Jon and Penny have even traveled to tea expositions around the country to find the very best teas for our guests. Teatime is taken very seriously at the Old Caledonian B&B! Interested in staying with us and trying teatime for yourself? Just click either the “Book It” or “Check Availability” buttons on this page, give us a call at (573) 779-1300, or drop us an email at info@oldcaledonian.com . If you might be interested in booking the Old Caledonian’s Tea Room for your own private teatime, tea party, or event, please call us at (573) 779-1300. See you at the Old Caledonian Bed & Breakfast for teatime! Cheerio!